Although he considered himself primarily a writer, John Ehle (1925-2018) made profound contributions to North Carolina in a variety of programs designed to help people reach their potential. The oldest of five children, John Ehle was raised in Asheville, where his father was an insurance company division director. Both of his parents were born in the Appalachian Mountains, his mother from four generations of mountain people. It is from that branch of his family that Ehle claims to inherit his gift for storytelling. Following service in World War II as a rifleman, Ehle earned his BA and MA at the University of North Carolina at Chapel Hill, where he also taught for ten years. As a high school student competing in debate tournaments, he became interested in writing, and throughout his career always claimed he wrote works that were meant to be read aloud. During his student years at Chapel Hill, he wrote plays for the American Adventure series on NBC Radio. 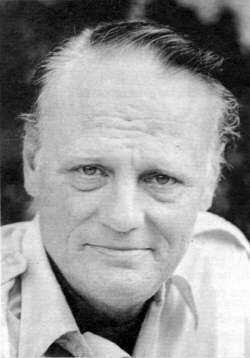 John Ehle was the author of seventeen books, eleven fiction and six nonfiction. While his fiction was always based in his familiar North Carolina mountains, his nonfiction treated such varied subjects as the Civil Rights struggle, the trials of the Cherokee Nation, French wine and cheese, and Irish whisky. His books were translated into French, German, Swedish, Czech, Spanish, Japanese, and other languages. Filled with a respectful awareness of the drama of everyday lives, his books were written in a style that critics said “portrays without frills or frippery … not the glories of the day but the hardships.” His respect for the dignity of his subjects, fictional and non-fictional, was a common thread running through all of his work. In his public work as well, John Ehle celebrated human dignity and the significance of personal freedom. As a member of Governor Terry Sanford’s staff in the 1960s, he was the “idea man” and an integral part of the creation of the North Carolina School of the Arts and the Governor’s School. He went on to serve with the White House Group for Domestic Affairs and on the First National Council of the Humanities. Ehle also helped start the North Carolina Film Board, North Carolina Institute of Outdoor Drama, the North Carolina Advancement School, and the North Carolina School of Science and Math. He was one of the founders of the Awards Committee for Education that provided educational enrichment experiences for gifted young African Americans, Native Americans and white Appalachians. John Ehle and wife Rosemary Harris resided in Winston-Salem, Penland, and New York City, and they had one daughter, actress Jennifer Ehle. He received the North Carolina Award for Literature, the Thomas Wolfe Prize and the Lillian Smith Award for Southern Fiction, and was a five-time winner of the Sir Walter Raleigh Award for Fiction. He also received the Mayflower Award, the Governor’s Award for Meritorious Service, and the John Tyler Caldwell Award for the Humanities, and he held honorary doctorates from UNC-Chapel Hill, UNC-Asheville, the North Carolina School of the Arts, and Berea College.